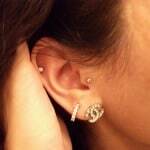 Helix piercing is one of those extremely popular ear piercings these days. It is very famous in a way that there are great numbers of individuals who are wearing it all over the world. 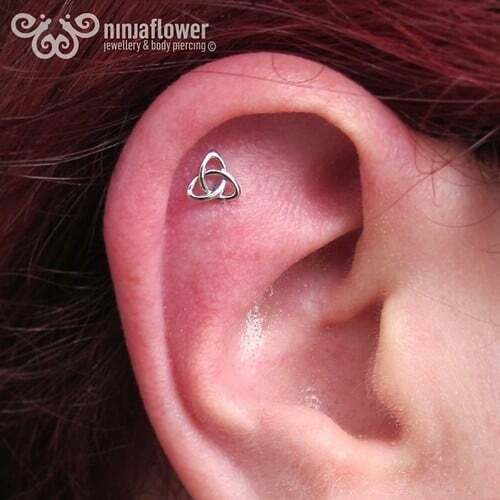 As its name suggests, this kind of piercing is done on the helix part of the ears. 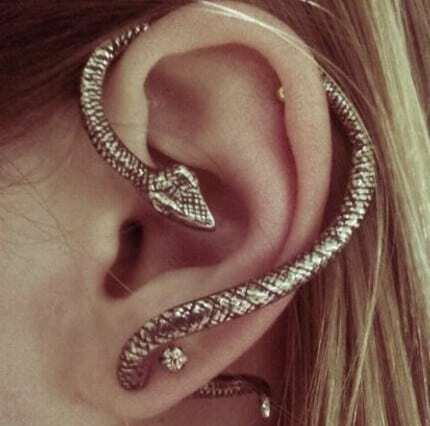 Helix is the prominent rim that can be found on the outside part of an ear. 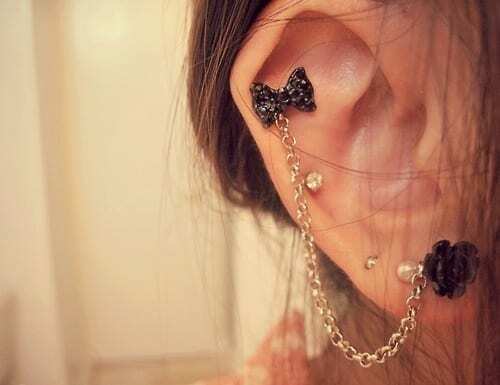 It is right there specifically on the upper part of the ears, which is made up of cartilage. 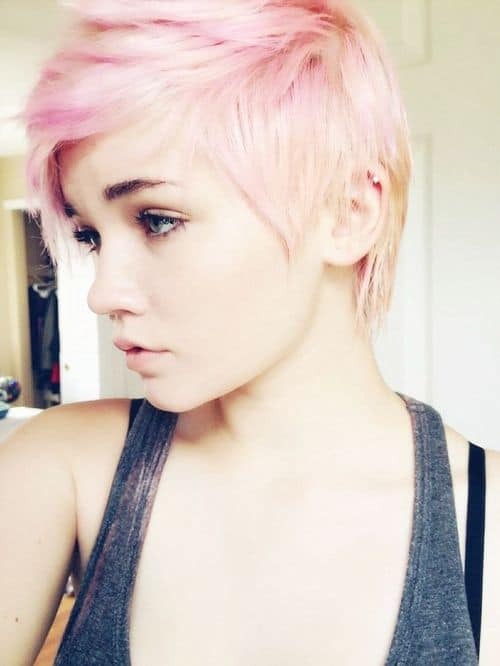 The common piercing jewelries that are worn here are barbells, labret studs, and the captive bead rings. 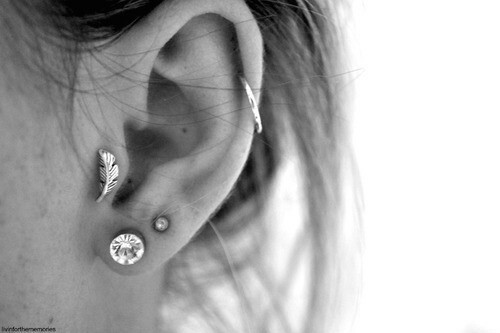 Whichever type of piercing you get, they never fail to bring that subtle and sophisticated look. The procedure involved for having this piercing actually requires a great deal of experience. This is the main reason why it should be done by a professional. 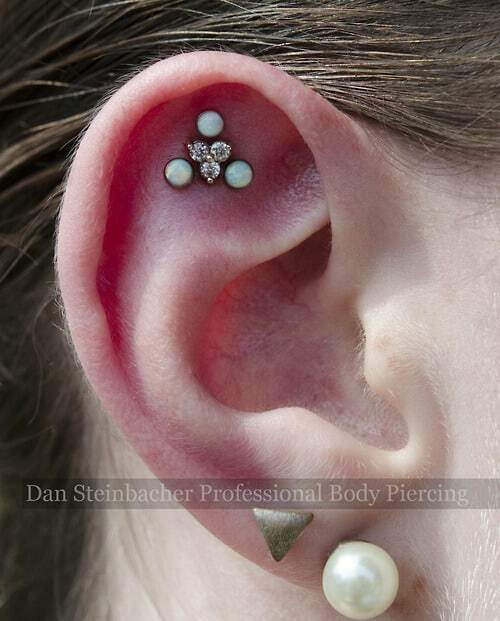 After finding the finest, well-experienced piercer in town, then you are good to go. One very important paraphernalia in doing the piercing procedure used by the professional piercer is a hollow needle (18 gauge) or a curved needle. 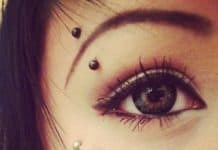 But before making a hole on the desired piercing part, the piercer will mark first the area for you to pre-see it, and so that he or she can have a correct guide in creating a hole through the needle used. 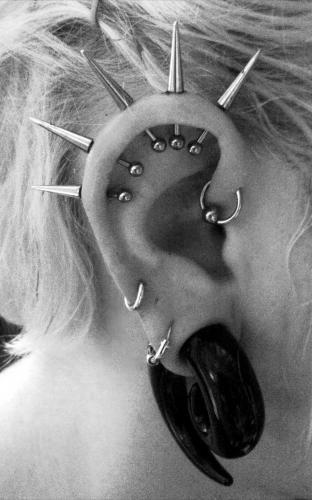 Piercing guns must not be used for ear piercings as they can brought an immediate shock in the ear. If your piercer uses a gun for piercing your ear cartilage, ensure to report them as soon as possible because that is illegal and very dangerous. In order to make sure that there will be no paraphernalia or some other stuff that will enter into the ear canal, a small-size cork will be put at the opening of your ear. You need to prepare yourself and be steady as much as possible, especially when the piercer is about to puncture the area in order to create a hole where the jewelry will be inserted. Don’t be surprised if a lot more pressure will be exerted by the piercer since it’s needed because helix part is quite hard to penetrate because of the cartilage. Well the point is, every piercing procedure can certainly cause some pain to the person who undergoes it. As what the old saying goes, “No pain, no gain”. 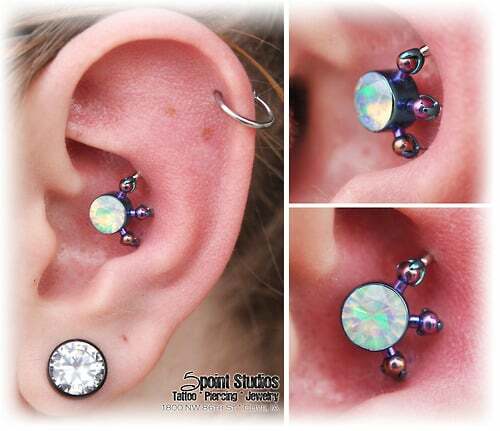 In other words, you can never have a helix piercing that you can proudly display if you will not endure the pain here. The pain will actually depend on several factors, and not only by the procedure alone. One of these factors is the pain tolerance of a person. 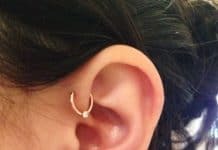 In case you are lucky enough to have a higher pain tolerance, then it is already expected that the pain brought by this piercing procedure will just be a tolerable one for you. But if you are one of those people who unluckily have lower pain tolerance, then the best thing for you to do is get ready with the pain, and always positively think that you can endure it. The truth is, the helix part of your ears is not packed with nerve endings, and just in case you don’t know, nerves are responsible for sending pain signals to your brain during any piercing procedure. 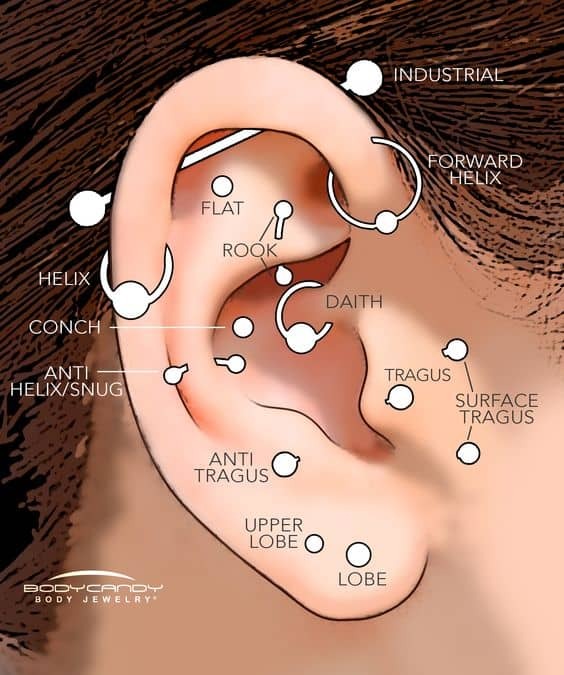 Because of this, getting pierced on the helix part may not be that painful compared to some other parts that are composed of cartilage. Yet again, the intensity of pain will always depend on the pain tolerance level of a person. 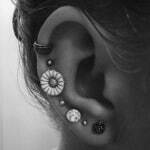 It is actually a normal thing to wait for a longer time period if you have undergone a cartilage piercing. The normal time frame you need to wait is around 3 months up to 9 months. With that being said, you need to set yourself in advance and allow yourself to patiently wait for your piercing to be healed fully. 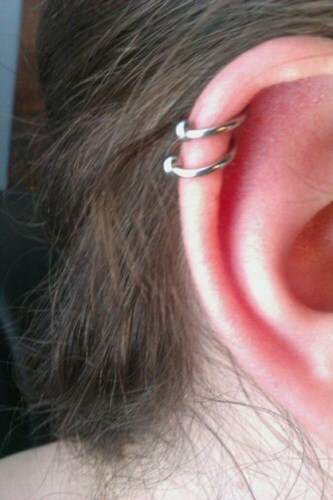 The amazing benefits of having this piercing will all be yours after waiting for a long time anyway. Meaning, it is certainly worth the wait. However, you have to know that complications may occur during the healing process, and this will add more time for you to wait. The waiting time may then reach as longer as 12 months. Moreover, the pain that you will feel after the procedure will just stay within 4 months of recovery. You have to remember that a cartilage piercing will heal first on the outside. Meaning to say, the wound inside the pierced area may not still be fully recovered when everything outside is already healed. The healing process can also be affected by the aftercares that you observe and do. If you do them religiously, then expect that the pierced area will heal faster than you can imagine. Don’t put on fake jewelries for your piercing. Fake ones may contain materials that are not good for the wound and your skin. You might get allergic reactions on your skin. And worse, the wound on the pierced area may get irritated that will then cause more complications. Tea tree oil should be used in cleaning your ears. This oil is known to be mild, so irritating the wound on the pierced area will never be possible. Don’t apply make-ups on the pierced area. You might not know it, but make-ups also contain chemicals which can react to the wound, resulting to minor and severe complications on the pierced area. Do not touch the piercing and the pierced area as well. Touching them can infect the wound. It is simply because the pierced area is very sensitive during the recovery period, to the extent that it may already get irritated in just a single touch or movement of the piercing. When cleaning the pierced area, you need to clean first your hands. Keep in mind always that your hands are dirty enough, and may have thousands of bacteria. Because of this, the pierced area may acquire some infections that you surely don’t want to experience. The jewelry should be worn loosely. 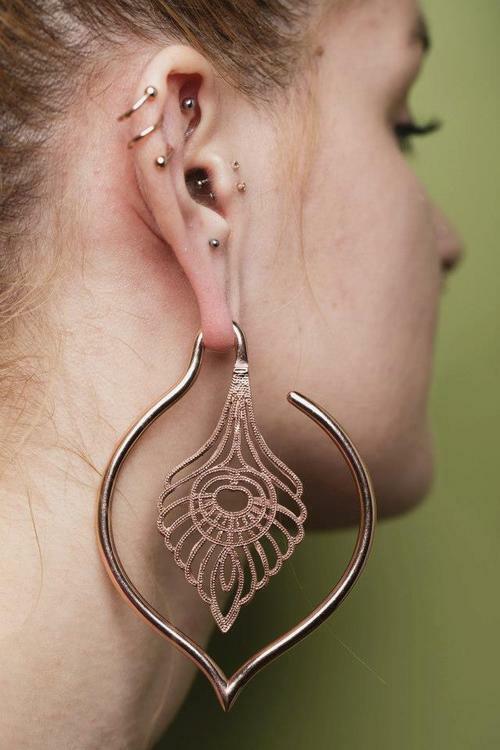 A very tight-worn jewelry may put too much strain on the pierced area, which is enough to impede its faster recovery period. This can also be the cause of severe complications, so you need to be careful. Always clean the pierced area as many times as recommended. Most of the time, the professional piercer may recommend you to clean it two times a day. Higher than this frequency can already irritate the wound. Make sure to use cotton and a warm salt water in cleaning it. Avoid taking out the accumulated crusts. Acquiring some crusts on the wound is just normal during the recovery period. It is cause by the lymphatic fluid that may come out from the wound. If you will try to remove them, the wound will be touched and may get irritated. Hence, you have to avoid doing it. 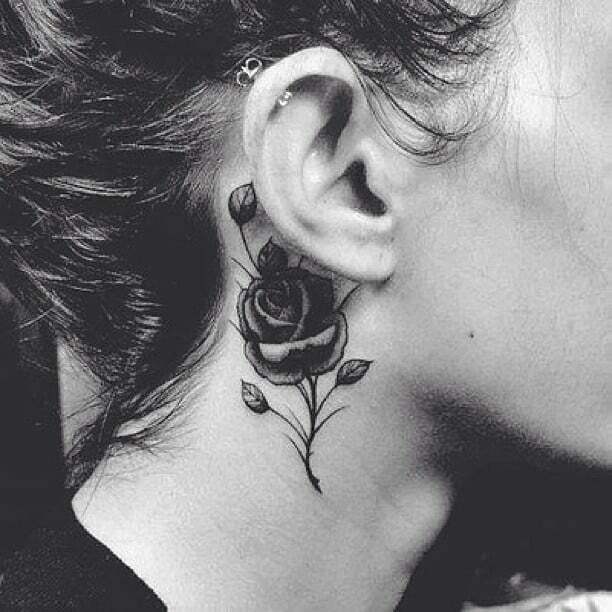 The cost of having this piercing will definitely depend on several factors. One factor is the professional piercer himself or herself. If he or she is reputable enough, then he or she has the right to demand for a higher service fee for sure. Another factor is the jewelry that you choose. If you choose one that is expensive enough, then it is expected that you will pay more. 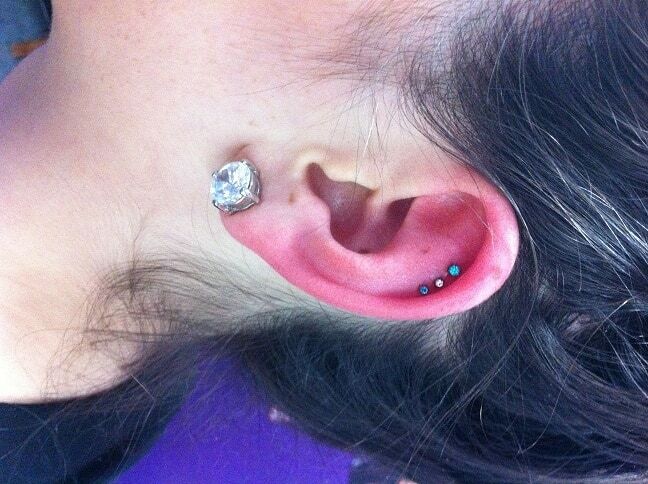 However, the usual cost for this kind of piercing will range from $20 up to $50. Custom Handmade Piercing with Blue Crystal Beads – What makes this jewelry gorgeous to see on your helix is the fact that it is incorporated with a shining elegant blue crystal bead, which is the center of attraction of this jewelry. You can buy it for only $8.99. Gold Plated 14K Hoop Earring with Leaf Design – The center of attraction of this jewelry option is the leaf design. It is priced around $8. 3 mm with Different Colors – The usual colors for this jewelry option are violet, white, blue, and green. You can buy it at the price of $7.75. Antique Silver Hamsa Hand Helix Jewelry – This is a unique jewelry that you can wear on your helix for around $7.50 price.